Obituary for Bill Bahnks | Esterdahl Mortuary and Crematory, Ltd.
William B. 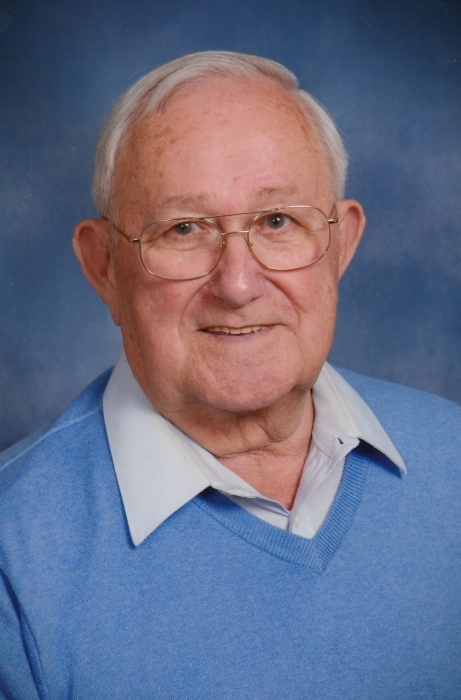 “Bill” Bahnks, 86, of Moline, passed away, Thursday, February 7, 2019, at the Davenport Lutheran Home. Funeral services will be held at 10 a.m. Monday, February 11, 2019, at First Lutheran Church, Moline. Visitation will be from 2-4 p.m., Sunday, at Esterdahl Mortuary & Crematory, Ltd, Moline. Burial will be at Greenview Memorial Gardens. In lieu of flowers, memorials may be made to First Lutheran Church, where he was a member. Bill was born on May 17, 1932, in Moline, the son of Chester and M. Arnott (Stroud) Bahnks, Sr. He graduated from the Geneseo High School and went on to serve in the Army, during the Korean War, in Alaska. He attended Black Hawk College and the University of Illinois. He married Nancy Hendrix on September 8, 1956. Bill retired from John Deere Foundry in 1986, as manager of Quality Assurance and was a member of American Quality and Control Society and American Foundry Society. Survivors include his daughters, Christena (Dane) Hansen, Bettendorf, IA, and Sheryl (Don) Harkins , Homewood, IL; grandchildren, Megan Perales, Andrew Harkins, and Matthew Harkins; sisters, Betty Christensen, and Sharon (Jim) DeBo; sisters-in-law, Maggie Bahnks, Pat Bahnks, and Lavona Bahnks. He was preceded in death by his wife, daughter Lisa, parents, brothers, Robert, Bennie, and Chester,Jr., and brother-in-law, Robert Christensen. We would like to thank all the women at First Lutheran Church for their endless love and hugs given to our father over the years and the congregation as a whole for their support, prayers and flowers. We also would like to thank all the nurses and staff at Davenport Lutheran Home for their amazing care.